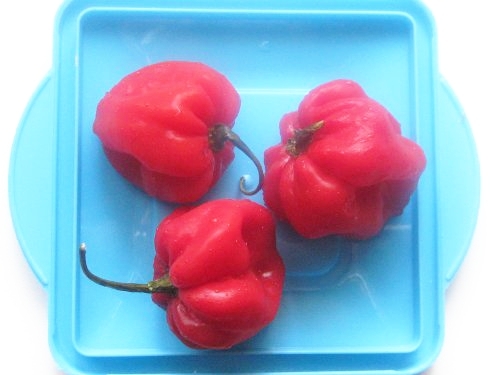 Ofe Akwu (Banga Stew) can be prepared with fresh palm fruits or tinned palm fruit concentrate. On this page, I will give details of how to prepare delicious Ofe Akwu with tinned palm fruit concentrate (tinned banga). This stew is used to eat Boiled White Rice. You can also use the tinned palm fruit concentrate for Delta Banga Soup. 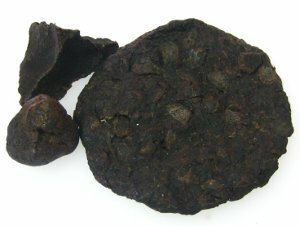 Using tinned banga for Ofe Akwu saves you lots of time and energy you would have used to extract the palm fruit concentrate and it is perfect for those who live outside Nigeria where palm fruits are not easily available. The good thing is that it tastes the same as when fresh palm fruits are used, that is if you buy a good brand: watch the video below for more information. 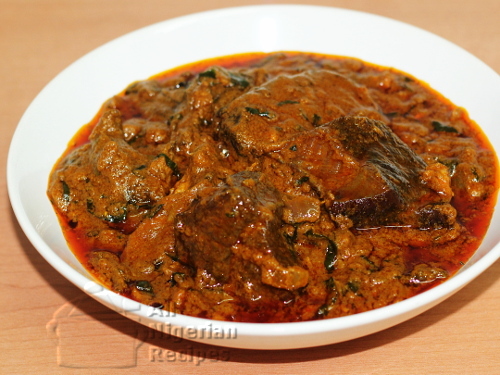 The recipe on this page is the same for Delta Banga Soup that is served with Starch, just replace the scent leaves with dried and crushed bitter leaves and add the other traditional spices for Banga Soup. You can use any of the following meat: goat meat, beef or lamb for Ofe Akwu. It is not advisable to use chicken for Ofe Akwu because this stew is too traditional for chicken. 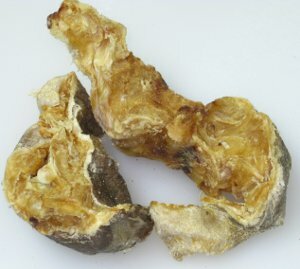 You can use dried cat fish, mangala or smoked fish. Though I mentioned the quantities of meat and fish, add the quantities of these two ingredients as you wish. I recommend red onion for Ofe Akwu because it brings out the taste of this stew. The scent leaves give the Ofe Akwu its unique aroma and taste. 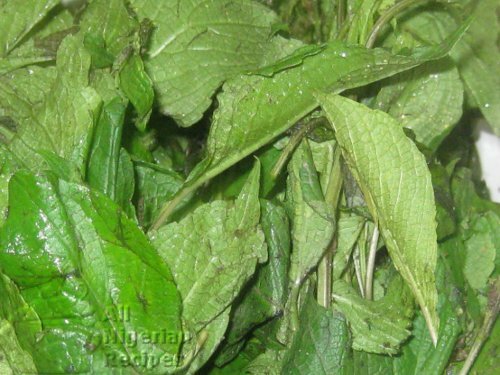 If you are outside Nigeria, scent leaf (nchanwu, efinrin) has no alternative. I buy scent leaves direct from Nigeria. When they arrive, I rinse and slice them and store in my freezer as I stated in the video below. Some people use mint leaves as alternative but it is a no from me. I would rather use parsley. 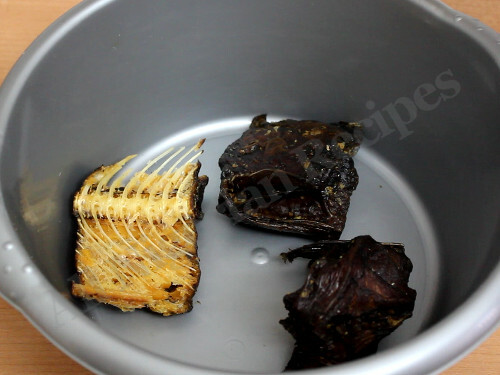 In the video below, I grilled/smoked the pieces of beef I used in cooking the Ofe Akwu. This takes the Ofe Akwu to a whole new level of deliciousness. So if you want to do like me, crush two of the stock cubes into the pieces of beef, massage into the beef and grill in the oven till tender but not dry (see the video below). If you do not want to use grilled beef, skip this step. Soak the dry fish till soft then debone and break into pieces. If using smoked fish, rinse, debone and break into pieces. Open the tinned palm fruit concentrate, stir to mix and set aside. Wash and cut the scent leaves into tiny pieces. Grind or pound the crayfish with the ogiri okpei. Grind or pound the habanero pepper. If you are using grilled beef, place the grilled pieces in a pot, add the deboned dry fish, diced onions and the remaining one stock cube. Pour water to just about the same level of the contents (about 2 small cups of water) and start cooking. If you are not using grilled beef, place the beef in a pot, add the diced onion and crushed stock cubes. Steam till water starts seeping out of the beef and continue cooking till the beef is tender. Add water when necessary as you cook. It is important that you have as little water as possible in the pot when the meat is done. If using step 1, cook till it boils and leave it to boil for 5 minutes. If using step 2, when the beef is done, add the deboned dry fish and cook for 5 minutes. In both cases, if using smoked fish, do not add it now, you will add it later. Add the habanero pepper, ground crayfish and ogiri okpei. Stir very well and add the palm fruit concentrate (tinned banga) in scoops. Stir and add more water if necessary to bring the stew to the consistency you like for your stews. It is advisable to have some hot water ready for this. Add the smoked fish (if you are using it), cover and let it boil on medium heat till you see some red oil float to the surface. Add the scent leaves and salt stir and cook till it boils again and it is done. Serve with boiled white rice, boiled yam or white agidi. If you want to prepare Delta Banga Soup, click here.